Unless there is a change in priorities and policies, universities and businesses in the United States will begin to experience issues successfully attracting the talent that is needed for building quantum technology, which is something that may make today’s modern computers seem like a child’s toy. Recently, the chief executive and founder of a company that’s called Zapata, made job offers to three different scientists, all of whom specialize in a new type of technology, which is referred to as quantum computing. All of the scientists accepted this offer. A few months down the road, this company, which was headquartered in Cambridge, Massachusetts, was still at a “waiting” stage, as the State Department had not yet approved the visas for the specialists who were being hired. Each of the scientists was a foreigner, born in either Asia or Europe. Regardless of if these delays were due to a tougher immigration policy, or just all the red tape, the issues faced by Savoie is one that more and more universities and companies are facing – unless the priorities and policies change in the U.S., they are going to continue having issues attracting the talent that is needed to actually build up modern quantum technology. While this is just one story, it is one that is being heard time and time again within the U.S. tech industry. As more and more companies are pushing into these new technologies, they are also finding out that it is more difficult to identify qualified researchers and engineers. There are also much more stringent immigration rules for all foreign-born experts in the tech field, who in turn are competing with other large tech centers in large countries, including Beijing, Paris, London, and Montreal. The issue of international competition is one that is especially problematic for the quantum computing industry, mainly because these machines (at least in theory) may be able to crack various encryption that is currently protecting various types of sensitive information and data held by businesses and governments all around the world. If a quantum computer is successfully built, it would likely be more powerful than today’s version of the supercomputer. Recently, the Science and Technology Policy Office of the White House actually invited experts from academia, industry, and the government to Washington to take part in a policy meeting for an entire day that addressed issues related to quantum technologies. There were several attendees, which included Savoie, who expressed serious concerns that the administration of President Trump and the immigration policies in place may wind up affecting quantum research for both corporations and academia, leaving the skills gap wide open for filling these kinds of positions. A question posed by Roger Falcone, who works as a professor of physics at the University of California in Berkeley, was whether or not the U.S. was still considered a destination for all the brightest and best in the fields of engineering and science. This is an even bigger issue when there simply are not enough people who fully understand all this technology has to offer. For example, in deep learning, which is a type of artificial intelligence, less than 25,000 people (according to some) are considered to be a real expert. In the realm of quantum computing, the labor pool is even smaller. In fact, there are some who claim that there are less than 1,000 people all around the world who can actually claim they are doing research that is leading the way in this particular field. It’s also been recorded that the total number of students located internationally who were applying to U.S. based physics doctoral programs dropped by approximately 12 percent in the past year. While universities that were located on the coasts were able to maintain their past numbers, those located in the mid-part of the U.S. saw a noticeable drop. For several decades now, quantum computing was still something that was in its experimental stage. When it was initially introduced during the 1980s, the ultimate goal was to create a system based on the somewhat magical principles related to quantum mechanics. In the past few years, various scientists have proven that they are able to create these machines, even if it is only being done on a small scale. When a person is using a traditional computer, the transistors are storing “bits” of different information, and each of the bits are either a one or a zero. These are all fundamental pieces of data that are used to tell the computer what it should do. Even though there are some different types of matter that are very small or that are very cold, they each behave in a different way. The difference is what allows the quantum bit, also called a qubit, to store some combination of a one or a zero. It’s been proven that two qubits are able to hold four total values at the same time. With the growing number of qubits, the quantum computer will get more and more powerful. The scientists who are building these particular systems are actually specializing in the physics of the very cold or small things, which is not similar to the physics that are experienced on a day-to-day basis. According to Yale University physics professor, Steven Girvin, there aren’t very many people who know what to do or how to do it. The machines are somewhat hand-built by those who have a Ph.D. in physics. In the past few years, a few of the largest tech companies in the country, as well as a larger number of startups, have started to build these quantum machines for their commercial customers. These are the individuals who believe that a quantum computer will be able to surpass what today’s computers are able to do in just a few years. Due to the machines being able to possibly break modern encryption, there are some who believe it is necessary to be cautious when asking foreigners to get into this field and to try and find new ways to get more American born individuals to handle these types of more sensitive breakthroughs and close the skills gap. There are several tech giants in the U.S., such as Microsoft, Intel, IBM and Google that are already accelerating quantum computing efforts. However, work is also ramping up in Europe and China. While this is the case, no one has been successful in creating a quantum computer that’s commercially viable. Also, government officials and lawmakers are actually exploring strategies to help and make sure that the available talent is growing. In the field of AI research, there are many who are worried that there is an excessive amount of talent that is moving away from academia and into industry, being lured by stock options, bonuses and high salaries. Those in the quantum field are hoping to address this concern by actually providing funding for various projects at government labs and universities. In fact, Congress worked on a bill that allocated $1.275 billion for quantum research between the years of 2019 and 2023. This bill, which is called the National Quantum Initiative Act, was signed into law on December 26, 2018. 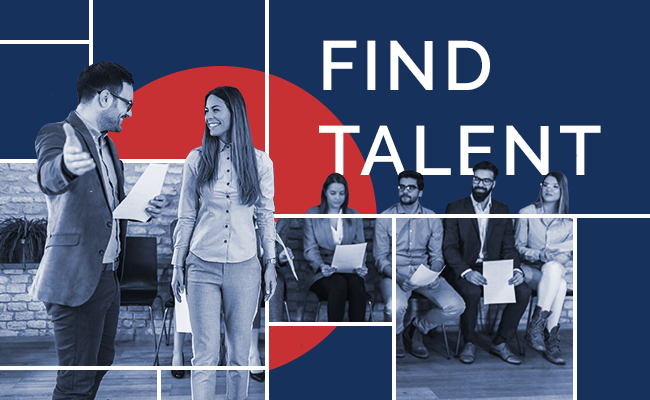 If you're looking to hire talent in hard to fill roles, contact ICS. We have experience tracking down highly skilled applicants and fulfilling your staffing needs. Click below, to begin finding the perfect candidate.